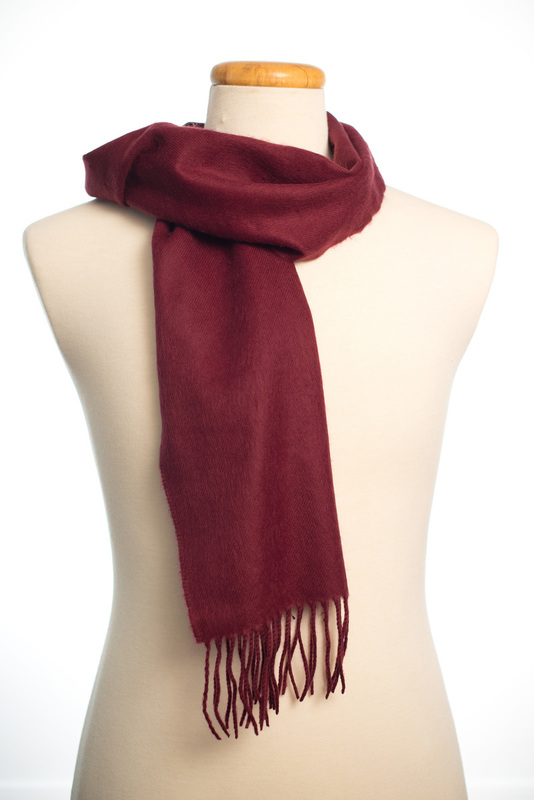 Maroon soft as cashmere winter scarf. This black winter unisex acrylic muffler scarf feels so incredibly soft you won't be able to tell that its not really cashmere. Measuring 12" x 72" including rope fringe it will keep you warm during the frosty months. An embroidered logo would add to this stylish looking accessory. Acrylic mufflers offer outstanding softness at an excellent value. In stock and ready to ship. 12 piece minimum.